Digital Manga’s newsletter came out yesterday, re-confirming their license of My Cute Crossdresser and listing another title, Starry☆Sky. 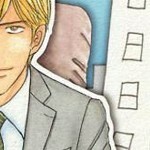 The first volume of the series is due out in April 2012. Starry☆Sky is a manga series based on a visual novel game of the same name published in Japan. It’s one of several manga adaptations of the story which follows a girl entering a private school that was until recently an all boys’ school. Over time she makes friends with a group of boys who’re based on the Western zodiac and romance ensues. Starry☆Sky seems like an odd choice for releasing as a June book, similar to what I thought when I first saw My Cute Crossdresser licensed for Project-H. My confusion wasn’t helped by the genre listing of ‘shonen’ on Digital Manga’s website. This manga series was originally released in a magazine, Comic B’s-Log Kyun, that publishes shoujo series. Some of them look to have some BL-implication – such as a version of Togainu no Chi – but none implicitly boys’ love in nature. With that in mind, plus that it’s based on a shoujo girl-is-surrounded-by-a-harem-of-young-men-who-could-love-her game, is Starry☆Sky being published under their June line for actual BL content or just having a high pretty boy count? 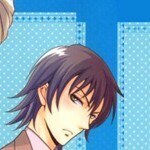 Update (11/12/2011): Digital Manga has switched Starry☆Sky‘s imprint to DMP. As far as I can tell from the marketing of this series in Japan the last three times I’ve been there, this series is definitely targeted to the BL market. I can’t tell you whether it really *is* BL, as it fails to be of interest to me, but it’s definitely been carefully crafted for fujyoshi. Thanks for your comment, Erica! That\’s interesting to know and is one of the very few reasons I\’ve come across telling why this decision was made (nice to read a good one!). I wonder if it was a demand of the original copyright holder. Just a wild guess. It just seems so odd when they have other series that it feels more similar to – such as \’The Beautiful Skies of Houou High\’ – that are published under their standard DMP line. Maybe some of the boys are bi and interested in each other as well as, theoretically, the heroine, a la the Hitachin twins’ schtick in “Ouran High School Host Club” (although in their case it turns out to be just an act designed to appeal to their fujoshi female classmates who are also into twincest).